Orland Park Paternity Lawyer | Johnson & Johnson, Ltd. Talented Orland Park paternity lawyer. Every child deserves to have the love and care of both their mother and father. Today, it is estimated that up to as many as 40% of all children in the United States are born to unwed parents. While both parents should be part of their children’s lives, it is important to know that, in Illinois, the father must be recognized as such under the law in order to be protected in custody and visitation issues. An Orland Park paternity lawyer will help guide you through the process to establish paternity and resolve child custody, visitation, and child support issues. Speak with an experienced attorney at Johnson & Johnson, Ltd. to learn more about how to move forward with your case. It is important to note that executing a voluntary acknowledgement of paternity (“VAP”) at birth or thereafter, does not automatically provide a father with custody or visitation, they must be established through court proceedings. Regardless of whether a paternity case is started by the mother or father, paternity must be established for a child born out of wedlock. This is done by taking a DNA test. These tests are relatively commonplace today. However, if the cost is prohibitive, then the court will be able to facilitate a DNA test at a reduced cost. It is often best to confirm paternity with a DNA test as a first step in the process. A reputable Orland Park paternity lawyer will be able to assist you in getting this accomplished. Paternity laws are very similar to the laws that govern child related issues in divorce proceedings. As with divorcing parents, unwed couples are encouraged to reach a suitable agreement regarding the major issues such as child custody, visitation, and child support. When couples are unable to come to an agreement, the court may request that they work through the problems through mediation. Your Orland Park paternity lawyer will be instrumental in helping you work through various issues to reach a favorable solution. As a parent, the father of a child has the same rights as the mother. While both parents have responsibility for child care, child support is often granted to the primary custodial parent. When a father is facing paternity action, it is important to seek guidance from a knowledgeable Orland Park paternity lawyer. Failure to take action could result in a default judgment because a father has elected not to participate. For this reason, a father should be certain to take immediate steps in order to protect his current and future rights. In some situations, particularly those where the father and mother were not married, the father should take steps to preserve his parental rights. Fathers should register with the Putative Father’s Registry in Illinois. This registry helps to make sure that a father is given proper notice should the mother begin to pursue legal actions that involve the child. One of these legal actions could include adoption. If you are the father of a child, be sure to consult with a skilled Orland Park paternity lawyer as soon as possible to help you protect your paternal rights. Along with rights come responsibilities. Both parents are responsible for the care of their children which includes providing for them as well as making important decisions. There are two types of custody including physical and legal. 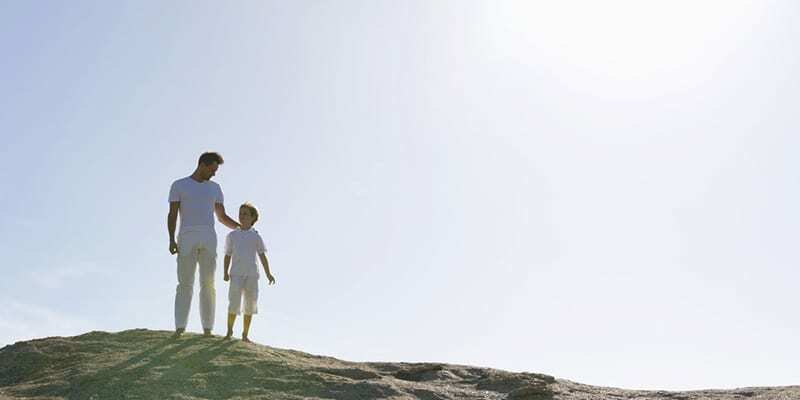 Legal custody allows parents the ability to make important decisions on behalf of their child. Physical custody refers to where the child resides. Many times parents will be granted joint custody, meaning that both are equally responsible for the legal decisions for their child. Child support is typically ordered to be provided by the parent that does not have primary physical custody. In some situations, it may be possible to get retroactive child support. In Illinois, the court may order the father to pay for retroactive child support back to the birth of the child. Typically, the child must be under two years old for the retroactive payments to go back to the birthing and associated hospital costs. However, it is important to note that legal paternity action may be brought anytime until two years after the child reaches 18 years of age. Therefore, a paternity action could be raised until the child is 20 years old. An experienced Orland Park paternity lawyer will know whether retroactive child support is possible in your case. As a parent, you are entitled to your rights, whether they be child custody, visitation, or child support. Contact an experienced Orland Park paternity lawyer to help support you as you work through the various situations that you may encounter. Contact Johnson & Johnson, Ltd. to schedule a consultation to get your questions answered.